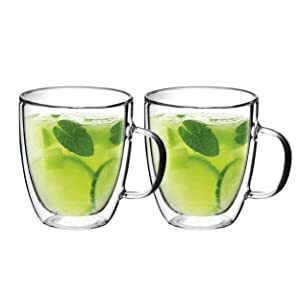 Set of 2 high quality borosilicate double walled glasses with handles. 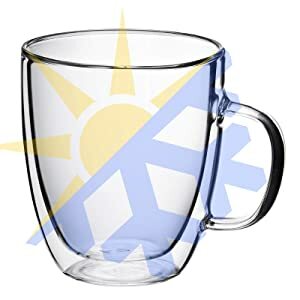 These modern design shatter-proof and heat resistant glasses are durable for every day use. 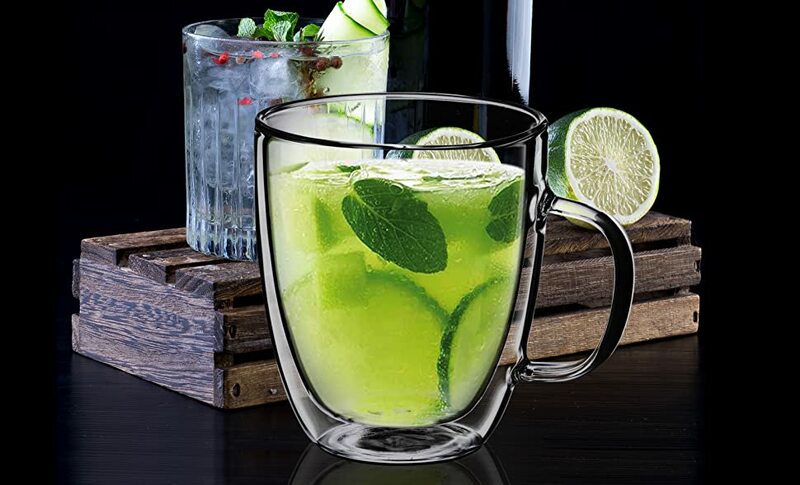 As this glass is double walled, it won't ever get too hot to hold. The perfect gift for tea or coffee lovers in your life. Holds hot or cold drinks. 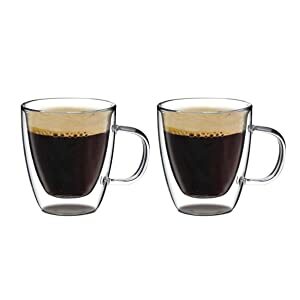 Enjoy your espresso, latte, cappuccinos, tea, and even wine in these! Keeps your hands comfortable & your beverage warm. Keeps drinks cold and condensation free.